This replacement oil dipstick kit from Omix-ADA fits 74-81 Jeeps with 304 V8 engines and 74-79 with 401 V8 engines. 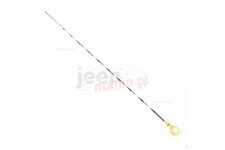 This replacement oil dipstick tube from Omix-ADA fits 74-81 Jeeps with 304 V8 engines and 74-79 with 401 V8 engines. 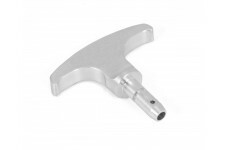 This replacement oil dipstick from Omix-ADA fits 74-81 Jeeps with 304 V8 engines and 74-79 with 401 V8 engines. 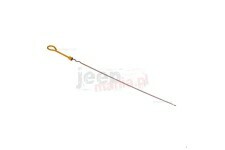 This replacement oil dipstick from Omix-ADA fits 97-99 Jeep Wrangler TJ with 2.5 liter engines. 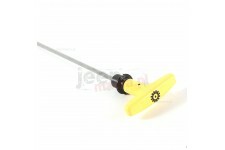 This replacement oil dipstick from Omix-ADA fits 97-06 Jeep TJ and 04-06 Wrangler LJ with 4.0L engines. 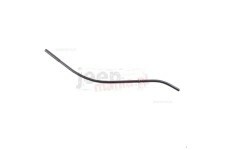 This replacement oil dipstick from Omix-ADA fits the 4.0L engine in all 1991 to Oct. 04, 1995 Jeep Cherokee, Comanche, or Wrangler vehicles. This oil dip stick from Omix-ADA fits 3.6L engines found in 11-18 Jeep Wrangler. 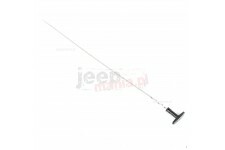 This automatic transmission dipstick from Omix-ADA fits the AW4 transmission in 94-01 Jeep Cherokee with a 4.0L engine.